Britannica works hand-in-hand with your network to provide your members with adaptable solutions, customised support and optimal return on investment. For 250 years Encyclopaedia Britannica has re-imagined how the world learns. 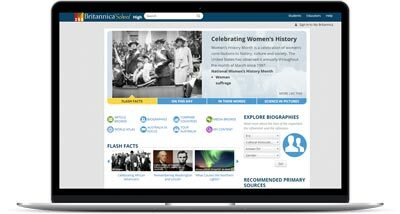 Today, Britannica Digital Learning is leading the charge with educators to develop creative new ways for students to discover and share knowledge. We are excited to partner with education leaders like yourself to help equip your schools with the right tools, so that every student is challenged, empowered and engaged to learn. Britannica brings together content, technology, professional development and change management to help you drive better learning outcomes. Browse all solutions. The go-to site for learning more about any subject, for all years and reading abilities. 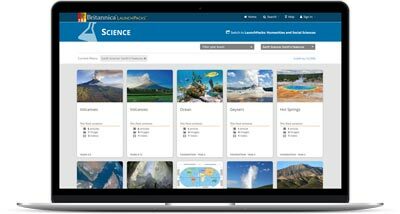 Flip learning on its head with classroom ready content packs for all your Science topics. Shape a new future for classroom learning with the power of digital storytelling and video creation. We are based locally and here to help you, every step of the way. Let us set you up for success by helping you coordinate trials, track activity and collect feedback. Take advantage of special pricing for consortias and network purchases. Fully-managed authentication and rollout as well as ongoing technical support. Get access to recorded, live and bespoke training and registered PD to suit your teachers’ schedules; plus free lesson plans and curriculum resources to drive uptake.